Atlantic City witnessed the closure of 4 casinos in 2014 as gambling revenue slumped and caused both live and online casinos to witness a serious decline. One of the casinos that suffered was the popular Revel Casino Hotel and the owners decided to shut down operations and put the casino up for sale. 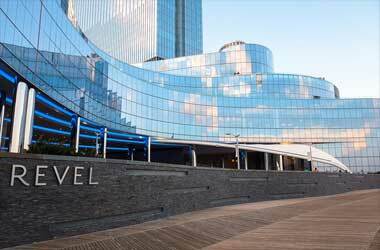 There has been more than one offer made towards the purchase of the Revel Casino Hotel but none of them have worked out because it is not a straightforward sale as the Revel Casino hotel has a couple of major issues to sort out. The biggest issue is the expensive power plant of the casino that has accumulated millions in debt as it is responsible for generating all the electricity required for the casino. ACR Energy Partners have threatened to stop supplying their services until they get an assurance that their outstanding bills will be paid in full. Brookfield Asset Management, a company based out of Toronto initially agreed to buy Revel in 2014 for $110 million but decided to withdraw its offer once the power plant issues were raised. The second best offer that Revel received was from the Polo North Country Club which is owned by Florida developer Glenn Straub. Straub initially made a proposal to purchase the Revel Casino for $95.4 million but then withdrew his proposal after the power plant concerns were once again raised. Apart from this, the former tenants of Revel want to be assured that they will be allowed to continue once the new building is constructed. These two issues did not go down well and Straub decided to lower his proposal and offer $82 million only. Revel owners would ideally like a lot more money but considering the amount of debt they have accumulated they are looking for a quick bailout. After a lot of consideration and deliberation they have finally accepted Straub’s proposal and have agreed for a quick sale. The deal is expected to be completed by the 31st of March according to Straub’s lawyer Stuart Moskovitz. Straub plans to spend $50 million to construct a huge health spa and medical facility and make the hotel lobby a lot more accessible. He will spend another $50 million to expand the exterior part of the hotel and will promote his new building as a recreational and entertainment complex. Straub is yet to decide on a name for his new complex.